Manufacturer of a wide range of products which include tp-s easy thermo, cpa-r relay lens type furnace monitoring camera and tp-u unit type body surface temperature checker. This system utilizes a CCD camera, which has sensitivity at 1.0µm and Image Processing Unit that provides an image and converts video signal from the camera into temperature information. 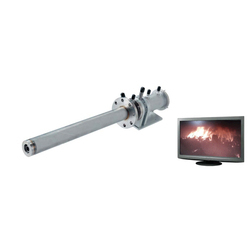 The special high temperature optics lens array system can be inserted through a small insertion port on many types of furnaces. The Image Processing Unit has an 8.3” LCD touch panel that displays wide-angle image and temperature information. It also provides the capability of up to 40 points of Contact Inputs/Outputs as well as 32 points of Analog Outputs through an external I/O unit. 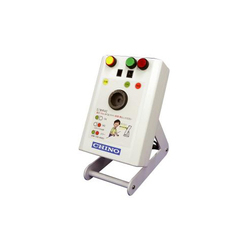 TP-U is a body surface temperature measuring unit that installs 2000 pixels thermal imaging sensor. 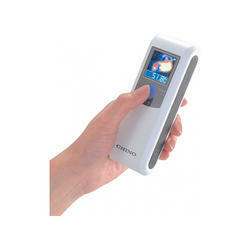 It quickly measures the body surface temperature and if detects the alarm point tenperature (ex. 38°C) then the failure lamp lightens. Install at employee entrance, school entrance, croded facilities, etc and simply check the fever. Measures body surface temperature just in 3 seconds. Easy operation and self check by confirming standby, good and failure lamps.